Q: Why is a Climate Bonds Standard needed? Investor demand for Green Bonds & Climate Bonds is strong, and will increase in line with the delivery of quality products into the market. However, investor concerns on the credibility of Green labelling are also growing. Standards, assurance & certification have been identified as key to improved confidence and transparency, and further strong growth. Moreover, without broadly acceptable standards we will have a race to the bottom with environmental-themed bonds. We have already seen a weakening of carbon offsets because of a lack of standards about acceptable (environmentally rigorous) schemes. Poor quality offsets were, for many buyers, not readily distinguishable from high quality offsets. In such circumstances poorer quality offsets dominated for price or availability reasons, sparking a race to the bottom, or an abandoning of the sector. Early intervention is needed to avoid the negative effects of a lack of robust standards and a consequent undermining of the credibility of the thematic approach. The Climate Bonds Taxonomy is the first piece of the Climate Bonds Standard and Certification Scheme. It can be used by issuers to assess whether they have green assets, prior to issuing a green bond. It identifies broad areas of inclusion (e.g. green residential mortgages, low emissions vehicles etc) that are subject to further criteria and screening. The Climate Bonds Standard builds on the Taxonomy and sets out specific criteria so that bonds labelled as green can be assessed in terms of their alignment with the Paris Agreement goals. In order to receive the “Climate Bond Certified” Certification a prospective issuer of a Climate Bond must appoint an approved 3rd party verifier, who will supply a verification statement that the bonds meet the Climate Bonds Standard’s environmental and financial management guidelines. The Climate Bonds Standards Board (comprised of members representing $34 trillion of assets under management) provides the final confirmation. Q: Isn’t a renewable energy bond obviously green? Some projects clearly are associated with reductions in carbon emissions — such as solar and wind power projects. Some are important but must be managed carefully, such as biofuel and bioenergy projects involving land use changes. Some are controversial, such as carbon capture and storage. The benefit of a Standard is that it allows investors to assemble diverse portfolios with confidence about the investor acceptance of their environmental integrity. Q: How will the standard assessment work for the bond? Will it be a yes/no decision? The Standard will assess the low-carbon value of the bond’s underlying assets. Projects such as solar and wind can be expected to have a simple yes/no decision-making model. Project types that require more complex evaluation, such as energy efficiency, may have conditional certifications. Q: Are there fees involved? Yes, Climate Bonds issuers will pay a small fee for verification of their claims (to be determined by the verifier) and then for certification. Registration of the bond with the Climate Bonds Standard Advisory Board* = one tenth of a basis point. E.g. £5,000 on a £500 million bond. Q: What are the benefits to the Bond Issuer? Easy-find: it allows potential investors to quickly find your bond on Bloomberg and on other listings. Additionally, the Climate Bonds Initiative circulates your offering to every investor on its stakeholder list. Reputation: associate organisation with efforts to scale up financial flows for delivering the low-carbon economy and securing prosperity for future generations. Cost: remove cost to investor of environmental due diligence. What is innovative about the Standard is that it allows not only obvious project bonds for renewable energy generation or green portfolio bonds to be labelled as ‘climate bonds’, but it also allows corporate bonds to be linked with low-carbon activities, without compromising on the normal credit ratings of the issuer. An authoritative Standard eases decision-making and focuses attention on credible climate change solution opportunities. The easier it is to use the faster the market will grow. Q: How can we be sure of the independence of the Climate Bonds Standard? 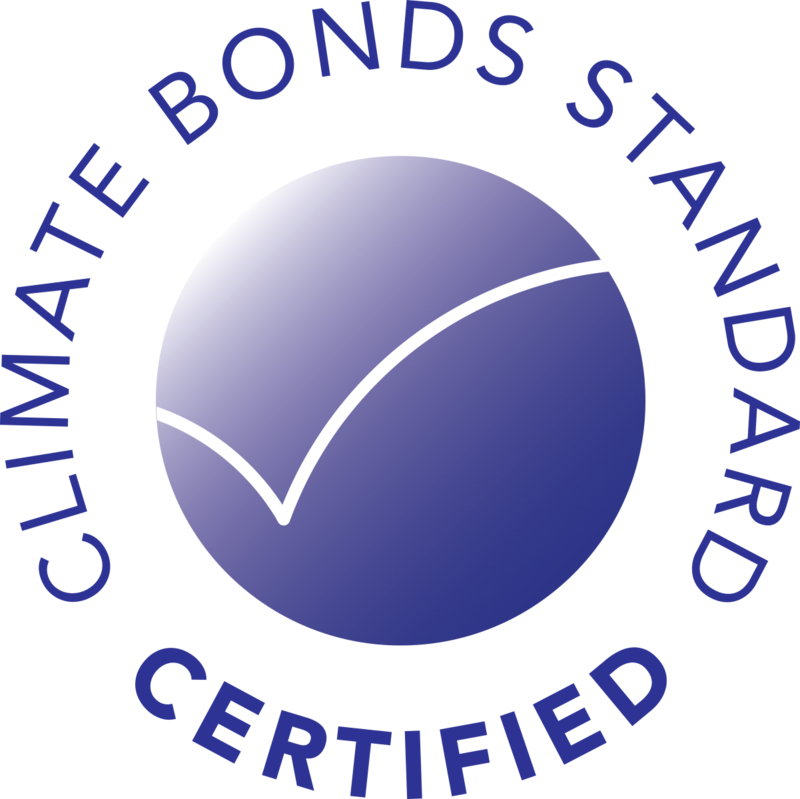 The Climate Bonds Standard Board oversees the development of the Standard. Membership of the Board is comprised of environmental non-government organizations, asset-owners such as pension funds, government officials. See the page for details of the Board. The Standard is developed with a broad and transparent stakeholder consultation, where interested parties will provide input and comment. Q: Who is behind this Standard? The Standard has been initiated by the Climate Bonds Initiative (CBI), an investor-focused not-for-profit organization promoting large-scale investment in low-carbon activities. More information can be found at www.climatebonds.net. The Board is supported by “industry working group”. Members of that group include representatives from the International Finance Corporation (IFC) Standard & Poor’s, KPMG, Calvert Funds Management, DNV and Environmental Capital Management. Funding for the development of the Program comes for a range of sponsors, including foundations and corporations. Q: Will oil and gas companies be allowed to issue Climate bonds? The Standard will assess the low carbon value of the bond as it relates to the intentions of the issuer and the assets linked to the bond. Oil companies re-financing and/or investing in low carbon assets applicable under the Standard, such as wind energy, would be eligible. Q: What will monitoring requirements be? The monitoring requirements for compliance with the Standard depends on particular project types with little or no monitoring for straightforward areas such as some types of renewable energy and annual and/or more complicated monitoring requirements for other projects. Q: Will the Standard affect the financial creditworthiness of a project? The Climate Bonds Standard is not a financial standard or a substitute for financial due diligence procedures. Over time, certification of environmental credibility may improve the attractiveness of projects and increase demand. But creditworthiness will need to be assessed in the usual manner. Q: Will certification apply to just one bond or will it cover all bonds by a particular Issuer? Each Climate Bond would be covered by a separate agreement in much the same way as a Credit Agency rating is typically given on a deal by deal basis for each bond issue. Q: How does the Standard work with carbon markets? We see carbon markets as complementary. They can provide an additional cash flow for underlying projects that bonds are issued against. However, bonds do not have to prove additionality or estimates of emission reductions to be certifiable. Our approach instead is to develop specific criteria as to what characterizes suitable assets for the Low-Carbon Economy and that bonds raise finance or re-finance these solutions. Q: How can the Standard work within an international agreement under the UNFCCC? In theory, the Standard could be used as tool to track private sector finance flows to developing countries to support the implementation of NAMA plans. We are also pressing for the Green Climate Fund to be used as guarantee pool to leverage pension fund money into climate change solutions – much of that through bonds, best-suited to pension fund liabilities that could be certified as Climate Bonds. Q: How is the Standard funded? The Standard and various components will eventually be fully financed by certification fees, but these have been set very low (one tenth of a basis point) so there will first need to be a volume market. The initial development process for eligibility criteria relies on sponsorship and grants – from National Australia Bank, Bank of America Merrill Lynch Foundation, European Climate Foundation and the Sainsbury Family Charitable Trusts. The idea of the Standard is to create binary eligibility criteria so as to minimise certification cost; but originators will still need to commission an assurance report from an approved verifier (the first two are DNV and KPMG). That looks to cost $20-50,000 for corporate bonds, possibly less for project bonds. But costs for bonds of sizes 50m and 500m are likely to be much the same. Q: Do Certified Climate Bonds have to be secured? No. The aim of the the Climate Bond Standard is to support corporate issuance in public markets in the simplest way possible (i.e. using existing documentation. The Standard looks for a clear and traceable relationship between the funds and the assets to which they are linked. Q: If we have a book of potential projects over the next 12 months, can we work with the verifiers to identify the best projects to assign the funds too? Yes. The question will be whether they fit the stated eligibility criteria; the verifier’s job is to check that nominated projects comply with the published criteria.